Rich in history, and northern charm, you will be overwhelmed by the hospitality of the locals and history that remains in these European countries. A Baltic Sea cruise offers the chance to appreciate charming cosmopolitan cities, cultures and iconic landmarks. The Baltic region is perhaps best observed on a cruise along the gleaming Baltic coast that will introduce you to Denmark, Estonia, Latvia, Finland, Germany, Lithuania, Poland Russia and more. Discover German coastal locations including Heiligendamm and Kühlungsborn as well as other atmospheric beach resorts. Wander along Sweden's wild west coast and make a memorable stop in Stockholm. Glide down the brimming Baltic waters towards Denmark and visit the Scandanavian sensation of Copenhagen for a seamless urban experience and classic cuisine. Let a luxurious cruise guide you to Lithuania and visit the heavily cobbled town of Klaipeda with its distinctly German architecture and Dane River. Venture north to the Baltic gem of Estonia and discover the vibrant Tallinn- a perfect cocktail of modern, medieval, sophistication, charm and vibrancy with Baroque palaces and glass skyscrapers. See the dynamic culture and bewildering natural surroundings of Bergen and Norway from the optimal perspective of a cruise. Baltic Sea cruises are extremely popular and allow you to visit several beautiul countries in addition to many highlights of the region, all in one cruise. If you are looking to cruise in the utmost of luxury then a voyage with Silversea will suit you, however if you are looking for a more casual cruising experience then Royal Caribbean or Holland America is the answer. Shore excursions provide the perfect opportunity to discover locations such as Denmark, Sweden, Germany and more. There is also no need to go through the hassle of getting a visa for St. Petersburg. This is a quintessential Baltic cruise from Amsterdam that visits the many Scandinavian cities like Copenhagen, St. Petersburg, Helsinki and more. Heaps of port days so you experience all that Europe has to offer. On the cruising days, take some time for yourself at the Greenhouse Spa on-board the ms Nieuw Statendam. Keep in mind that you will need to get a Russian Visa if you want to do your own exploring off the ship in St. Petersburg. This itinerary covers the major cities around the Baltic Sea area and is a great option for a first cruise to Northern Europe. Ports visited are in Russia, Denmark, Sweden and more! Includes an overnight stay in St. Petersburg. This port intensive cruise with Royal Caribbean brings you to all the major highlights of the Baltic region, including Denmark, Estonia and Sweden. An overnight in St. Petersburg gives you enough time to visit the wonderful Pavlovsk Palace and Catherine Palace. Be sure to bring your camera, you'll want to capture these moments. 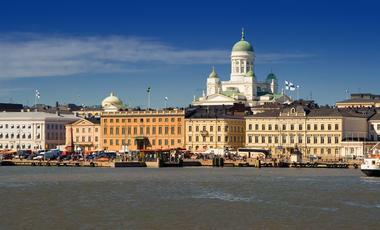 Take in all the beautiful architecture in Finland's largest city, Helsinki. The city has a modern, hip vibe with a heap of boutique shops and galleries to explore, too. Copenhagen is the capital city of Denmark and is one of the most popular tourist destinations in Scandanavia and Northern Europe. Along the cobbled and bike-filled streets you will find a city which is consistently ranked as being the world's happiest, which helps to make Copenhagen a welcoming and unforgettable location to visit. Nyhavn harbour with its brightly coloured buildings and numerous cafés and eateries is a popular area of the city. The iconic Little Mermaid statue is a must-see for many and is located near Nyhavn, along the waterfront at Kastellet. Russia's second largest city, St. Petersburg lies at the eastern end of the Gulf of Finland. The city was listed as a UNESCO World Heritage Site in 1990. The former home of the monarchy is known for the vibrant and colourful buildings which line the Baltic city. There are four palaces in St. Petersburg, which form the Russian Museum, Mikhailovsky Palace holds an extensive art collection. Visitors can also take in world-class Russian ballet and opera shows at various theatres throughout the city such as the renowned Mariinsky Theatre. 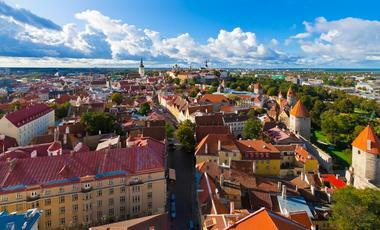 Estonia's capital city is located on the Baltic Sea, approximately 80 km from Helsinki. The Old Town is a maze of medieval streets and spires and has also been made a UNESCO World Heritage site, helping to preserve the oldest capital city in Northern Europe. Visiting Talinn is like stepping into a modern-day medieval fairytale. Toompea, located on Tallinn's upper side is home to numerous architectural wonders such as the Alexander Nevsky Cathedral. Visitors can also expect to find an abundance of canals and beaches in Tallinn. Sitting on the Baltic Sea, Warnemünde is a popular seaside resort town that is characterised by its large white sandy beaches and bustling promenade. One of the best ways to see Warnemünde is by harbour tour where you can enjoy the Baltic charm of the town and of the larger area of Rostock. 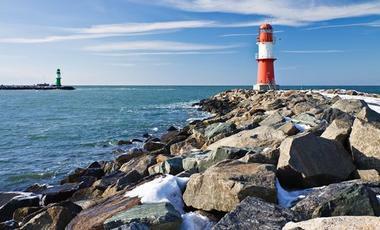 Warnemünde is also used as a link town for the German capital of Berlin. Many cruise guests partake in excursions to see the many historic sites and to experience the unique culture of one of Europe's most vibrant cities. Visby is a town located on the Swedish island of Gotland in the Baltic Sea. The Hanseatic town is characterized by its picturesque medieval buildings, charming painted cottages and narrow cobbled streets. Thanks to all of the above and more, like the stunning Gothic church ruins or the 12th century ramparts in the Old Town, Visby is listed as a UNESCO World Heritage Site. Visit in August to enjoy the loud and colourful Gotland Medieval Week or in other months to discover the region in peace. The harbor city of Skagen is located at the northern tip of the Jutland Peninsula in Denmark, at the point where the Baltic and the North Seas meet. It captivates with its picturesque landscape, cityscape of typical yellow buildings with red tile roofs and the second largest lighthouse in Denmark. Skagen is also famous for its rich art heritage. Artists flocked to the city in the mid-19th century drawn by the impact the radiant light had on the rugged seaside landscape. The Polish city of Gdansk is an old port city which sits on the Baltic coast. Gdansk has an extensive transport network, which makes for the perfect base for discovering the Baltic region. St. Mary's Basilica and the Medieval port crane are popular attractions. In addition, the Old Town which was rebuilt after World War 2 is a particular highlight which displays the beauty of Gdansk, while highlighting the major impact of World War 2 on the city. Gdansk is also synonymous with the Polish solidarity movement and is home to the European Solidarity Centre. Rostock is a city in the German state of Mecklenburg-Vorpommern. Rostock was the most important port for the former state of East Germany, during the Cold War era and the modern city bears importance due to its proximity to other coastal cities along the Baltic Sea, as well as chief cities within Germany and Poland. Rostock also boasts access to a number of beaches such as Warenmünde. Germany is known for its beer and Rostock is no different, the Hanseatische Brauerei Rostock is a popular attraction for those interested sampling locally produced beer. Lübeck's Travemünde district is situated at the mouth of the Trave in Lübeck Bay. In addition to the old town, the old seaside resort offers 1.5 km long beach promenade, with beautiful scenic views. The town is a blend of a charming seaside town and a major shipping port. The rows of distinctive and comfortable beach seats offer the perfect opportunity to sit back and enjoy the scenic views out into the Baltic Sea. Ostseestation located along the promenade, also offers a fantastic opportunity for visitors to not only witness the marinelife of the aquarium but also interact with them. Helsingør, known in English as Elsinore, is a city in eastern Denmark attracting over a million visitors a year. It is best known for it's castle, Kronborg Slot, where Shakespeare's, Hamlet is set, along with many other reminders of the city’s medieval past. Stroll along narrow cobbled streets among charismatic back-alley half-timbered houses, enjoy a shopping spree in the city’s bustling centre or tour the Elsinore's historical attractions. It is the largest brackish water in the world and is surrounded by nine states - the Baltic Sea is one of the most popular destinations for a cruise. The routes lead from the German coast to the Baltic States. An east sea cruise is a unique experience because it takes you to some of the oldest commercial cities in Europe, Rostock or Gdansk. The countries bordering the Baltic Sea are Germany, the Scandinavian countries Sweden, Denmark and Finland as well as Russia, Estonia, Lithuania, Latvia and Poland. There are also numerous islands and inhabited and uninhabited islands. The Scandinavian peninsula is separated by the Baltic Sea from the main landmass of Northern and Central Europe. The southern region of the Baltic Sea is located in the temperate climatic zone, while the regions around Denmark are markedly maritime, the areas eastward lie in the region of the continental climate. Due to the climate, a cruise on the Baltic Sea is recommended especially in the summer months between April and September. The Eastern Sea region is not only strongly influenced by tourism. It is also of great importance to the economy. Maritime seaside resorts and magnificent Hanseatic cities testify to the past and give the Baltic Sea a unique charm and facet richness. One of the highlights of a Baltic cruise is the visit to St. Petersburg. The second largest city of Russia was founded in 1703 by Peter the Great. The historic city center, a declared UNESCO World Heritage Site, boasts 2,300 palaces, stately homes and castles, and is only exceeded by Venice in this respect. But also the Baltic cities Riga and Tallinn are worth a trip. Another highlight of your Baltic cruise on the up to 459 meters deep inland is the Swedish capital Stockholm. The unique location on the shores of the archipelago gives the city a very special cityscape. Gamla Stan, Stockholm's Old Town, which is situated on its own small islands, invites you to linger with numerous cafes and small boutiques. The royal castle, where daily change of guard takes place, is also in the largely car free and narrow streets characterized old town. But also the Danish capital Copenhagen sweetened with numerous sights and magnificent buildings a land excursion of a cruise through the Baltic Sea. Visit the small mermaid, the city's landmark, or stroll through the Tivoli, one of the oldest amusement parks in the world. The port city is one of the most important metropolises of Northern Europe and was 1996 Cultural Capital of Europe. There are different routes to choose from to explore the Baltic Sea and its surroundings, for example, Norway. Take a small trial cruise from Kiel to Oslo or go on board for several days and travel from Amsterdam to Tilbury in the UK. 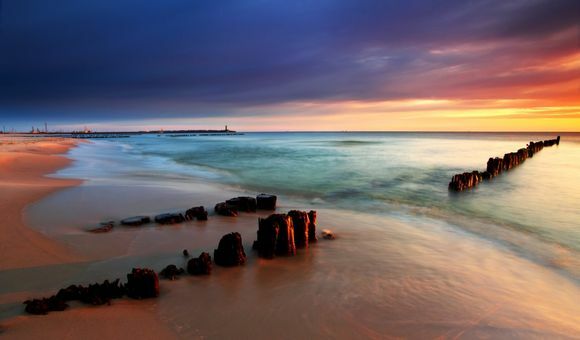 Explore the Baltic Sea and the North Sea, the two seas of Germany, during an impressive cruise. It is also possible to go on an East sea trip. Also a sailing to/from Iceland is not to be missed. Let CruiseAway convince you of the great offer. 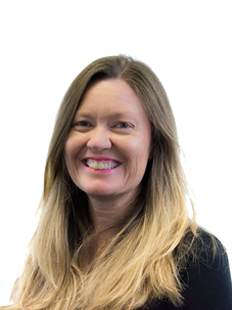 Please contact our cruise advisors and have a look at your cruise.